Confession: It took me 17 years before I picked up Lord of The Rings. Previously, I was too intimated by the size (and bored by the hobbits) to pick it up, but now that I have read it, I can’t get enough of it. So when I saw “A Hobbit Devotional” by Ed Strauss on NetGalley, I had to pick it up. A Hobbit Devotional centres around the book The Hobbit, although since all books take place in Middle-Earth, you could still enjoy it if you’ve only read Lord of The Rings. The book is broken down into 60 chapters (so I guess you could use it as a two month devotional) and is a book best enjoyed slowly. There are also quite a few references to the Lord of The Rings trilogy, so if you haven’t read it, you may find them spoilers. 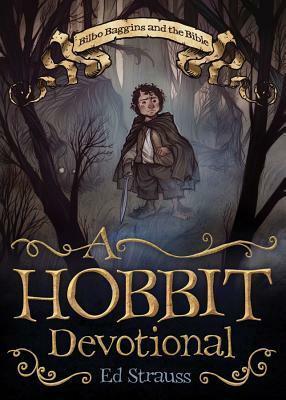 Each chapter uses on point of the plot in The Hobbit, draws out the moral lesson from it and shows the reader what the Bible has to say about it. There are as many references to the Bible as there are to The Hobbit, which means that the author isn’t just blindly drawing out moral lessons. And as a conclusion, the author shows how this particular lesson can be applied in our lives. The chapters are all fairly short (a few pages long), which makes them good devotional material. Since The Hobbit is about quests and adventures, there is a lot devoted to stepping out in faith, and stepping beyond your comfort zone. I think that this book distills the moral lessons found in The Hobbit very well and shows how it can be applied to our everyday life. There’s not much else I have to say except that I highly recommend this book. 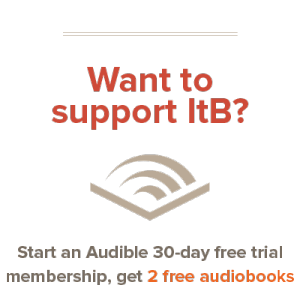 Especially for fans of Middle Earth (and Bilbo!). Personally, I’d like to see this book being used in a Sunday School class (with a book discussion of The Hobbit going on at the same time).